We’re all a bit judgmental at times. Don’t deny it. And those judgy thoughts are exactly what trip us up when it comes to finding lasting love. 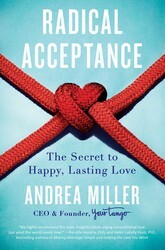 Andrea Miller, founder and CEO of YourTango and author of Radical Acceptance: The Secret to Happy, Lasting Love, shares her advice on how we can turn off those thoughts and learn to love our partner for exactly who they are. Andrea recently spoke to Harville Hendrix and Helen LaKelly Hunt, the world renowned relationship experts and best-selling authors of Getting the Love You Want and Making Marriage Simple, among many other popular titles. This conversation was lightly edited for clarity and conciseness. He jokes that the subtitle of the book should be “How To Succeed In Your Marriage Despite Your Husband”! Harville Hendrix: How did your husband Sanjay react when you told him you were writing a book about having to “radically accept” your partner? Andrea Miller: Ha! He jokes that the subtitle of the book should be “How To Succeed In Your Marriage Despite Your Husband”! But he’s a big believer in the Radical Acceptance philosophy and, after seeing the initial incredible feedback we’ve received from people who have read the book, we share a great sense of pride and gratitude that people can learn so much from us – from the mistakes we’ve made as well as our ability to open ourselves up and be really honest about some really common challenges. We have been informally counseling people for years on Radical Acceptance-related themes so the positive feedback isn’t a surprise but it’s very gratifying to know we’re positively impacting so many other lives. Harville Hendrix: Andrea, is there a moment in your relationship that epitomizes how you put the concept of Radical Acceptance into practice? Let me…be brutally honest about what I’m bringing to this conflict. I realized in that moment of anger and frustration that while I wanted to blame him for not paying enough attention to me, that I had a role to play in the hurt and it was actually less about him messing up and more about my own insecurities and expectations. It was a pivotal moment and very empowering! Helen LaKelly Hunt: It’s interesting because, in a relationship, when you shame, blame, and criticize your partner, you get all these yucky feelings inside of you. But if you can shift and think of it like “I exist on the planet to be an advocate for you. You’re my partner,” you can end up feeling a lot better. Has that been reflective of your experience with Radical Acceptance? Andrea Miller: Definitely. I mean, you’ve both met Sanjay, and he’s the most brilliant, wonderful, kind, amazing man in the world, except for when he isn’t – and we want to kill each other. (Laughs) Thankfully that doesn’t happen nowadays! But you’re right. Learning to advocate for your partner does make you feel so much better. Yet it doesn’t mean that learning to accept the things about them that you don’t really love is necessarily easy. For me, that has taken a lot of practice and a lot of commitment. However, in turn, it has really made a dramatic difference in our marriage and particularly in our ability to feel like we’ve got each other’s backs. So, even if one of us slips up — say he’s impatient or I work too much — we’re able to give each other a lot more latitude and much more of the benefit of the doubt. As a result, the hurt and anger and the feeling of not being loved enough by one another has virtually diminished in our relationship. We have so much more fun together. Now it can be intimidating to talk to you two about this, because you’re the ultimate relationship gurus — you’ve experienced so much in your own marriage and your ground breaking work has helped many millions of people. But was there anything about Radical Acceptance that you found particularly useful or actionable? Helen LaKelly Hunt: What I like a lot is that Radical Acceptance makes you stronger. Because, in relationships, you can become a doormat. There are ways that a person doesn’t stand up for themselves in their relationship and it becomes subtractive. They get subtracted. Because their relationship runs them over. But there’s another way to be loving where it’s additive to who you are. You feel stronger. When your partner’s being a jerk, there’s a value to slowing the show and choosing to radically accept them and their jerkiness right now. Is that going to kill me? No. Other people can tell them they’re a jerk. I don’t have to be the one. My job is to advocate, to listen. You actually get stronger when you’re the giver in a relationship, instead of when you’re given to. You actually get stronger when you’re the giver in a relationship, instead of when you’re given to. Harville Hendrix: I really appreciate that Radical Acceptance addresses the issue of emotional symbiosis, because it’s so important. When you’re emotionally symbiotic, you assume that the person you’re in a relationship with thinks like you do and you know every aspect of their truth. You end up punishing them for not being the way you want them to be. So I think the whole argument of your book is the need for differentiation. The need to understand that other people in the world, they’re different from you, they’re still OK, and, if you don’t think they’re OK, then it’s really your problem because you cannot get over it. And here’s the rub: since our brains assign ourselves features we assign to others to ourselves, radical acceptance of another becomes radical self-acceptance. Andrea Miller: YES! Exactly! That’s wonderful. I’ve been thinking about this a lot in terms of the current political climate and how much divisiveness is out there — how do I accept the people in my life that I disagree with on fundamental levels? Because it’s so important to try to not see everyone else as the enemy for, say, having different political opinions. To try to approach them with an open heart and an open mind, even though their opinions represent enormous differences that you disagree with, sometimes, vehemently? Are there techniques or actionable ways to help people accomplish this? Helen LaKelly Hunt: A lot of it comes down to paying attention to the space between two people, because it looks like empty space, but we know that there are forces at work there. Just like how the empty space between planets is full of gravitational pulls and other things working in sync that we can’t see. So people need to know that that space between them is safe before they can connect. If the space between feels dangerous, the couples put up their defenses to protect themselves, so it really comes down to using a structured conversation. It’s not what they’re saying but how they are saying it. Andrea Miller: That’s so beautifully articulated. Thank you Helen. I totally agree. Harville Hendrix: Overall, what has been your biggest takeaway from working on this book? Andrea Miller: I think my really big takeaway has been just realizing that accepting the people in my life, even the difficult people, for who they are—and not who I want them to be–ends up becoming as much about self-acceptance, as you indicated previously. And that the whole process is really about practice and training yourself to not be judgmental, to open your heart and mind. It’s about creating a new framework that you can go back to again and again to help remind you of what’s most important and to stay on track. It’s knowing that you’re creating muscle memory and changing your patterns. It’s ultimately very affirming and positive. I could gladly continue this conversation for hours. This has been wonderful! Thank you so very much Helen and Harville. You guys are the best! 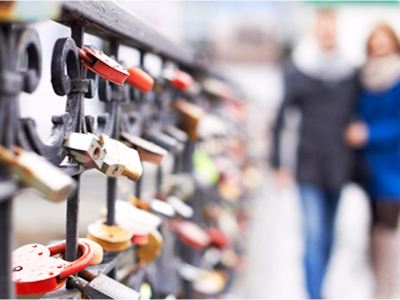 Now you know the secret to lasting love. Still feeling a little judgmental? Put it to good use analyzing kisses. Here are 7 kinds of kisses and what they mean.